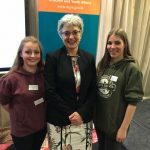 Further to disseminating the mental health booklet they created in 2018, the Louth Comhairle will follow on by delivering peer-to-peer led workshops exploring mental health awareness through drama techniques. Other topics we are exploring are Racism and discrimination, Rural transport and Sexual Health. On Monday 30th April members of Louth Comhairle participated in the All-Island Civic Dialogue on Brexit which took place in Dundalk. All had previously been involved in consultations on the topic of Brexit. Katie McGuinness, former representative on Louth Comhairle na nOg National Executive, and Paul Dockery from Young Voices, presented on the main points made by young people on Brexit at the DCYA Brexit conference in 2017 including the impact on education, travel, employment, democracy, sports and culture and immigration. Louth Comhairle’s key topic for 2017 was mental health. We wanted to address the lack of mental health awareness among young people in Louth by developing a Mental Health Awareness Booklet for secondary level students. This booklet explained what we mean when we talk about mental health, gave some ideas on how to mind your mental health, and will signpost to agencies that are there to help when an issue might arise. Our second topic was Brexit, and its impact on young people. We hosted a Brexit conference on a cross-border basis to get young people’s concerns heard at a local national and European level. Due to the proximity to the border Brexit is a real issue for young people in Louth. Through consultations completed in 2016 with other youth councils in Cavan, Monaghan, Newry and Mourne, Armagh and Dungannon, our members have identified a range of issues that will be impacted by Brexit. These include employment, education, social activities and border controls. We will develop further consultations on this topic in 2017. 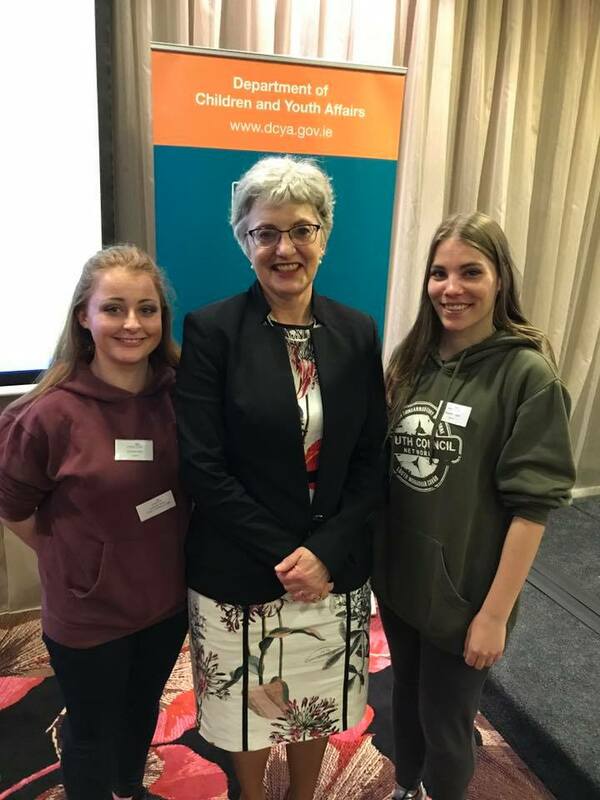 Louth Comhairle members Caoimhe and Cheyenne gave a presentation in May 2016 at the Annual Networking event for the organisers of Comhairle na nÓg, which was attended by Minster for Children and Youth Affairs Katherine Zappone. Louth Comhairle focused their attentions on the topic of Healthy Eating in 2016. Our healthy eating project involved a series of 60 second films on the key aspects of healthy eating which are 1. Lifestyle and Routine, 2. Making healthy choices and 3. Improving the availability of healthy foods. The young people plan to share these films over social media. The next step is to meet the HSE dietician progress the project. We were also busy with our Drugs and Alcohol campaign. The Legal Highs project is taking the form of a drama piece highlighting the issues for young people in taking these drugs. We are looking into an interactive theatre experience in Dundalk and Drogheda which can be filmed and circulated to other schools. We have already completed a lot of research and are quite knowledgeable on the subject and its complexity. 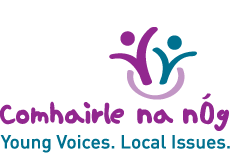 Louth Comhairle na nÓg have been examining the issue of relationships and young people in 2015. They have also focused on healthy eating as a second topic. 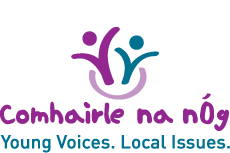 Louth Comhairle na nOg undertook two key projects in 2013/2014. Working with schools, youth organisations and Louth Outcomers, the Comhairle members delivered a social inclusion charter for schools. This Charter ensured schools and youth organisations fulfilled their mandate under equality legislation to include young LGBT people, people with disabilities and ethnic minorities. Each school participating was awarded a social inclusion flag. In addition to this the Comhairle developed a cross-border networking project with youth councils in Cavan, Monaghan, Armagh, Dungannon, Newry and Mourne. This project included a study visit to Berlin. The young people discussed issues in schools and in youth culture about LGBT. During this conversation it emerged that the use of the word GAY in schools is perceived as something very negative. The phrase “Oh that’s so GAY! !” was very common and the Louth Comhairle na nOg members decided to make this film to address the issue. The concept of the film is to associate the use of the word Gay in this manner as something foolish, and to depict a number of scenarios where young people are disgusted when a friend uses the word Gay in this fashion. The perpetrator sees themselves as a clown having been isolated from their friends. The film also contains facts about the issues facing people who are LGBT.